BLOG | the LASERINA clinic | Slimming, Anti-ageing, advanced Rejuvenation. 22/08/2014 – GOLD THREAD LIFT video is being finalised today. GOLD THREAD implantation video was finalised today. Our model is delighted with the result so, do we. The film will be presented to the journalist who is highlighting the full story and will be available for viewing on the GOLD THREAD website very soon. We will keep you updated. Summer is over and we bear memories of sunny beaches, relaxing hotels, romantic sunsets and unfortunately SUN DAMAGE... although age is just a number, it is no secret that we all want to look younger. 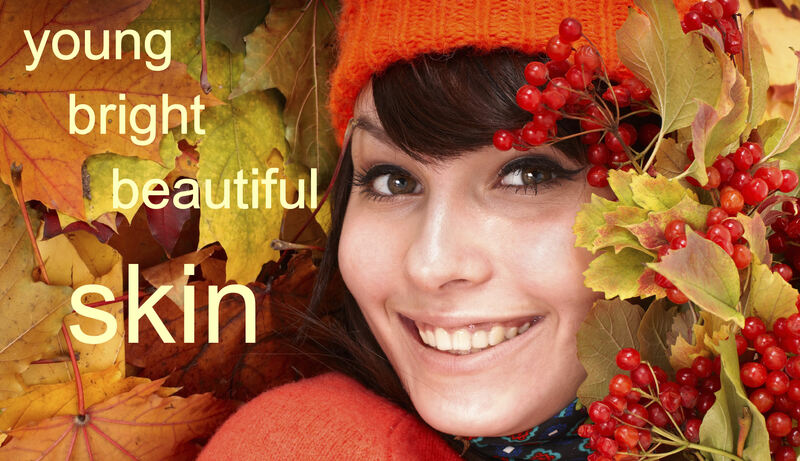 Today anyone can feel younger and look gorgeous with a little help at our clinic. Some of us go for a painful Botox, chemical peels or surgery But before you decide to go down the root of dermal fillers or go under the scalpel why not consider looking into needle free, non-surgical options. Many women at the LASERINA clinic have discovered new, kinder ways to lose wrinkles, without losing expressions and are looking younger, without any pain, bleeding or bruising. We will tell you things that even your best friend wouldn't and give you answers on how to turn back the clock. We have advanced technologies and extensive knowledge. From Ultrasonic exfoliation to non-surgical Face Lift, IPL photo-rejuvenation and vitamin MESOTHERAPY to tips on how to maintain your result for longer, a team of experienced medical practitioners use every trick in the book to make you lose years off your face and body. Appearance is everything, and it's not what age you are, but how old your friends and family think you look, that counts. Once the course of treatments is complete, our clients hear regular comments from people around them on how fresher their skin is. It is not a secret that we all want to sparkle, especially at the Christmas party to make heads turn! Advanced cutting edge technology used at the LASERINA clinic will restore your skin to its younger, smoother and radiant complexion. Please visit our website to start and then make an appointment for a FREE consultation. We were dancing Russian “Kalinka” in Warrington. Today we performed a Russian dance "KALINKA" after 2 rehearsal days. 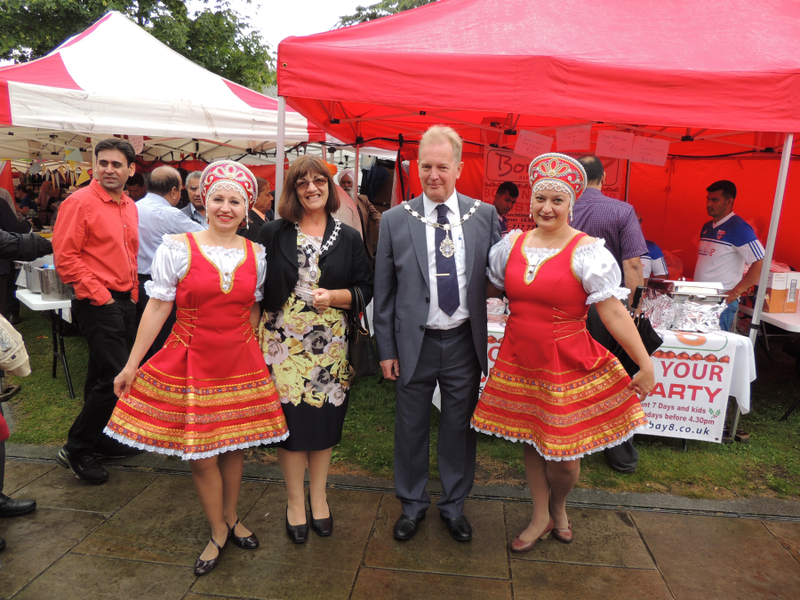 The performance took place at International fair in Warrington presenting Russian society and Russian Language Parent and Toddler Group "Solnyshko". Click on the image to see the video of the dance. This dance was performed after 2 rehearsal days therefore, don't judge to hush, please. We have completed "One stroke free hand nail art" course in May this year and advanced "Free Hand Nail Art" course in June. 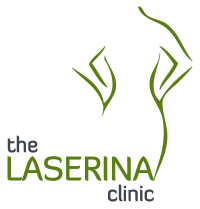 Unique designs are now available at the LASERINA clinic. Freehand nail art designs are a great way to spice up your nails and make you stand out from the crowd as they allow you to create nail designs that haven’t been seen before. 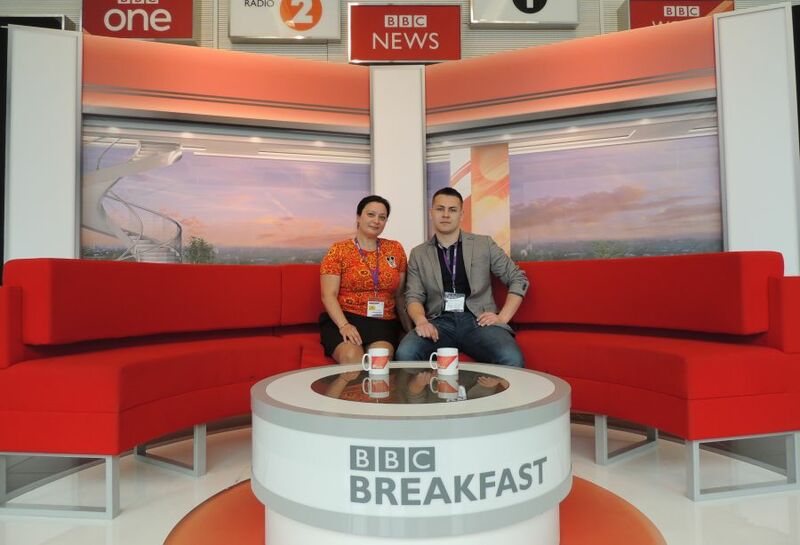 At live on-air BBC World Service Radio World show at Media City. Discussion about all the teams taking part in the 2014 FIFA World Cup in Brazil, including who are the best players from the Russian team, how do we think our team will get on, how far will they go etc. The BBC presenter Caroline Barker was joined by Nigeria striker Sone Aluko and 1998 Jamaica World Cup squad member Paul Hall. 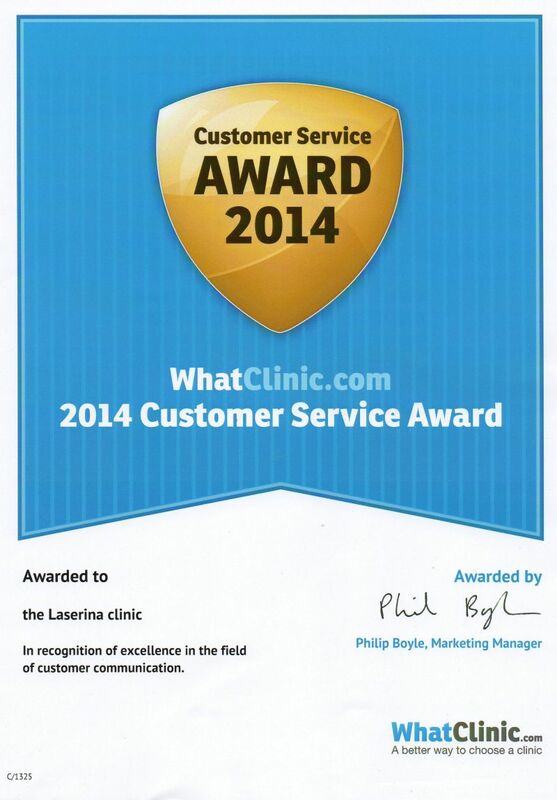 14/03/2014 – Customer Service AWARD! We received this award this morning and were completely thrilled. We are very honored to be chosen by all our customers and their kind feedback. BIG thank you to all of you!!!! We will keep trying to provide high quality service to the best of our knowledge, experience and skills. 01/01/2014 – New Year 2014 party! For Russians, there is no holiday more important than the New Year. It is the first on the calendar and in popularity. People see the New Year in at midnight on the 31st of December. They greet the New Year with champagne and listen to the Kremlin chimes beating 12 o'clock. Russian Holiday tradition includes a decorated New Year's tree - ёлка* (fir tree). Children always wait for Дед Mopoз* (Grandfather Frost), to come and bring them a present. Grandfather Frost's residence is situated in Velikii Ustug, the town on the north of Russia. Grandfather Frost is always accompanied by his granddaughter Снегурочка* (Snowmaiden) who helps him distribute the gifts. For the Russians, the New Year is a family holiday; people think about friends and relatives. Just before midnight, Russian President addresses the nation with a short speech in which he reflects on the past year and thanks the people for their support. Right after the speech, the chiming clock on the Kremlin’s Spasskaya Tower is shown counting down the last few seconds of the year. 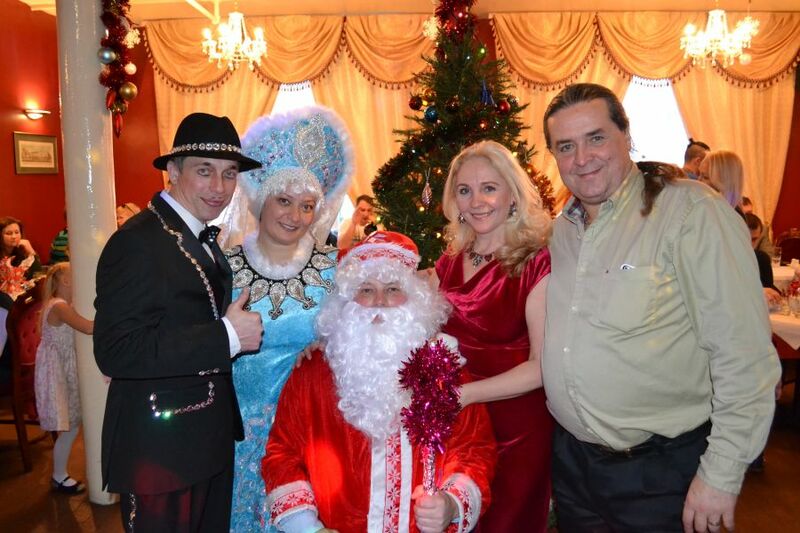 29/12/2013 – Russian Children New Year party! 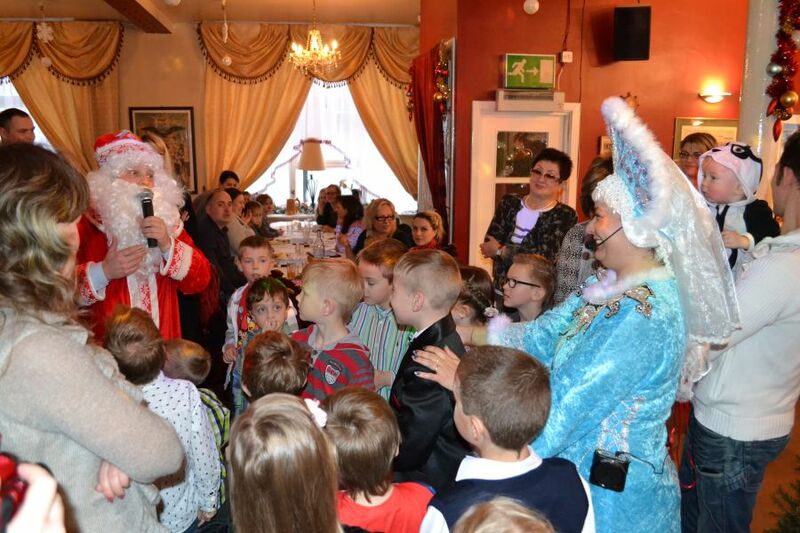 We supported a Children New Year 2014 party which was held in St Petersburg Russian Restaurant. Russian Holiday tradition includes a decorated New Year's tree - ёлка* (fir tree). Children always wait for Дед Mopoз* (Grandfather Frost), to come and bring them a present. Grandfather Frost's residence is situated in Velikii Ustug, the town on the north of Russia. Grandfather Frost is always accompanied by his granddaughter Снегурочка* (Snowmaiden) who helps him distribute the gifts. For the Russians, the New Year is a family holiday; people think about friends and relatives. more information about this venue and more pictures you'll find on St Petersburg Face Book page - click HERE. 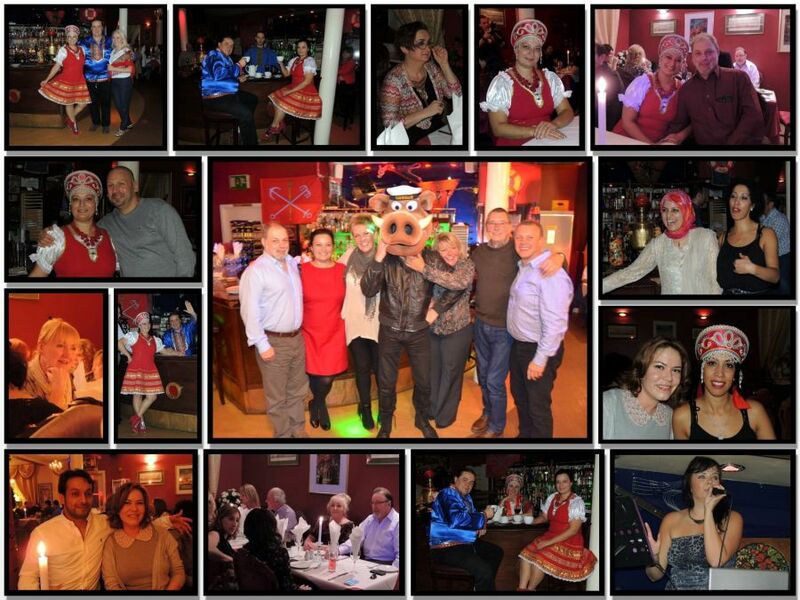 Our special customers were treated to an authentic Russian meal and fantastic entertainment at St Petersburg Russian Restaurant & Club. 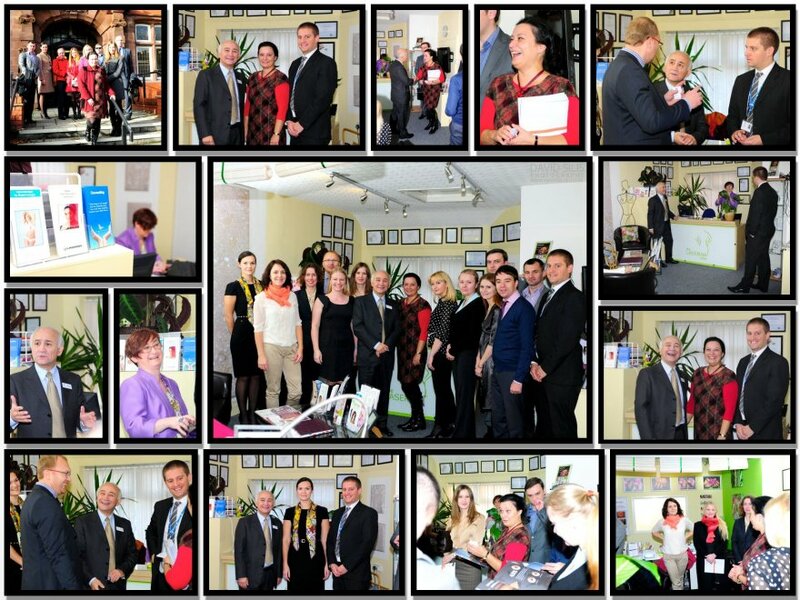 14/11/2013 – South Trafford Councillor greeted Russian delegation in Russian. the LASERINA clinic hosted a group of Russian small/medium Business Apprentices who visited Manchester as part of the Putin's presidential programme. The group was welcomed to Manchester by Trafford Councillor Michael Hyman who greeted them saying his short presentation in Russian!!! The visit was organised by a Russian government funded organisation - 'Union of resource centres'. The Group of 14 small/medium business owners/representatives were chosen from 300 candidates who successfully accomplished the president Putin’s Apprentice programme - 'Business growth and prosperity'. The Programme was set up over 10 years ago to facilitate the development of Russian professional personnel training in line with recognised western standards. "It is important that our personnel are trained in western countries", said President Vladimir Putin during his meeting with the Russian business managers in 2002. "There are a lot of prospects in Russia. And we sincerely hope that these prospects will be in good hands", he continued. The Programme enables the key personnel in the business to gain the necessary knowledge and experience of the varying business structures and management styles across the western world, which can then be applied in the Russian management context. Equally, the Programme naturally promotes the business partnerships between Russian and, in particular, the UK businesses. Councillor Michael Hyman JP welcomed Russian saying, “he believes that president Putin’s idea is enlighten looking forward approach of growing and developing economic growth on the way to prosperity”. The delegates were nicely surprised that he spoke in their own language which he had learned from his Russian Grandmother. The atmosphere in the clinic was warm, welcoming and friendly. There was interest in possibility of opening a business branch of a Russian based logistics company in Trafford Park. Tom Wild, Trafford Council Growth & Business Development Manager, agreed to assist Mr Andrey Atlanov who presented his own company Logistic Grupp LLC based in Novosibirsk. Irina Gorianova, Director of the laserina clinic and Maria Udalova-Surkova, Associated Solicitor of McHale & Co both Russian natives who have lived in the UK for more then 15 years, shared their business experience with the Apprentices.